Duration : 1 hour 15 mins. Offline : At the Venue before the show. Merely hours before they need to put up their mandatory dance number, five bridesmaids gather together to vent their frustrations and drink away their woes. What follows is a hilarious melodrama that reinterprets relationships between women. 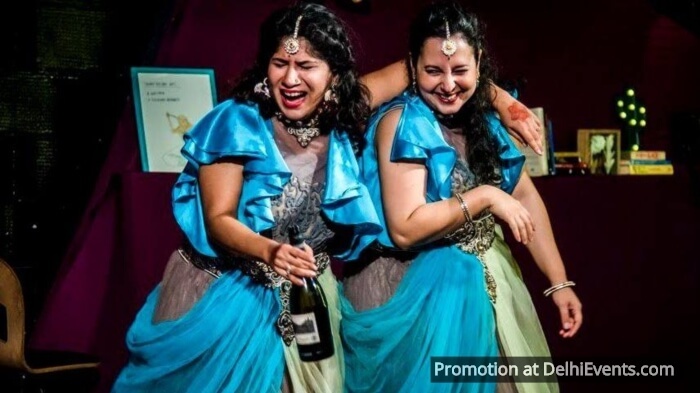 After opening to packed houses in Mumbai this situational comedy about a big fat Delhi wedding returns to OddBird. Featuring: Astha Arora, Dilshad Edibam Khurana, Lisha Bajaj, Prerna Chawla, Shikha Talsania, Tahira Nath Krishnan and Zayn Khan.